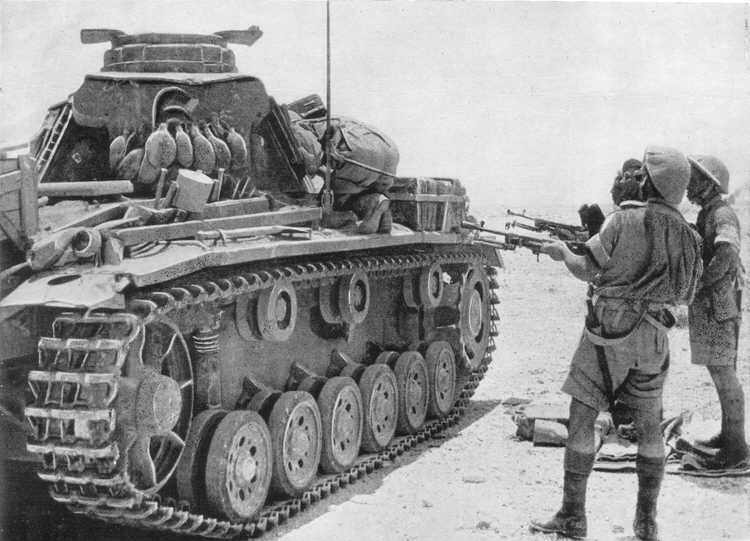 A Panzer III Ausf H or Ausf J being searched by British troops somewhere in Libya in the first half of 1942. The Ausf H saw the introduction of a drive wheel with six D-shaped holes, visible at the front of the tank, but the visible changes made to the Ausf J were all to the front, and are thus hidden in this picture. This picture does show just how many extra pieces of equipment could be carried on the back of a tank.